GMAC Sensory needs parent seminar. This is a Free seminar for families of Autistic children. Click here for more information. From the 1st September 2014 Parent Partnership Services (PPS) in every local authority evolved into Information, Advice and Support (IAS) Services. Each IAS Service will provide support similar to that of a PPS, although the type of support, and who is entitled to receive it, has been significantly expanded. IAS services are a statutory service that provides information, advice and support to children and young people with Special Educational Needs (SEN), and those with Disabilities, and their parents/carers (who have children/young people aged 0-25 yrs). What kind of things does Tameside SENDIASS provide? 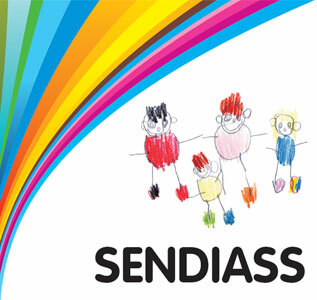 SENDIASS aims to encourage and develop partnership between children, young people, parents/carers, schools, the local authority and all other partners who are involved in working to identify, assess and meet the special educational needs of children and young people. Confidential and impartial information, advice and support to children, young people and their parents/carers on Education matters and Health and Social Care matters in relation to education. Information, advice and support on subjects including local policy and practice, personalisation, personal budgets, preparation for adulthood, the law on SEN and Disability, Health and Social Care. Information, advice and support throughout the Education, Health and Care Plan (EHCP) assessment process and review process. Information, advice and support about SEN Support in settings, schools and further education. Support in preparing for and attending meetings. Help in filling in forms and writing letters/reports. Support in resolving disagreements, including Disagreement Resolution, Mediation and Tribunals. Signposting to other local or national sources of advice, information and support. Links to local parent support groups and forums. We support children, young people and their parent/carers who reside in Tameside, regardless of where the child/young person attends for their education. We aim to respond to all enquiries within 5 working days. We offer a range of information, advice and support and this will be determined by the level of support needed at the time of the enquiry. Our attendance and support at meetings will be subject to the relevance of our role and service delivery at the time and in accordance with the availability of staff. The range and duration of support will vary dependent on the individual needs of the case and the information and support offered by the service will be tailored accordingly. This may include face-to-face meetings, contact by telephone and/or email. Primarily the service operates a ‘self-referral’ process. However, on occasions it may be considered appropriate for a professional to make contact with the service on behalf of the parents/carers or young person. The service will act upon such requests only on the full understanding that consent has been given. If you require information in another format, please contact the service. It may not always be possible to speak with a member of the team during the times specified, due to outside office appointments etc. However, the service does operate an answer machine service, so that messages may be left at any time.